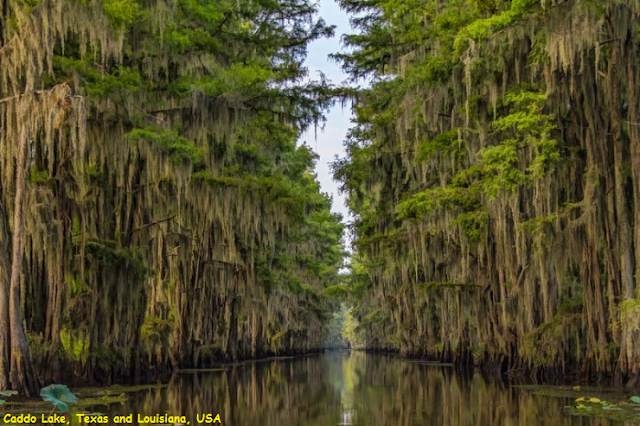 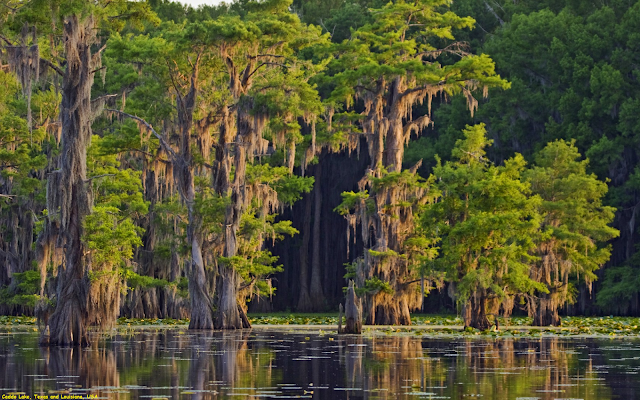 Caddo Lake is a 25,400 acres (10,300 ha) lake and bayou (wetland) on the border between Texas and Louisiana, in northern Harrison County and southern Marion County in Texas and western Caddo Parish in Louisiana. The lake is named after the Southeastern culture of Native Americans called Caddoans or Caddo, who lived in the area until their expulsion in the 19th century. It is an internationally protected wetland under the Ramsar Convention and includes one of the largest flooded cypress forests in the United States.